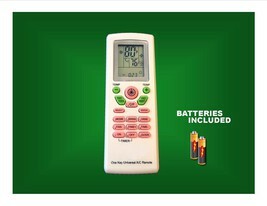 Universal Heating and Cooling Remote Control. 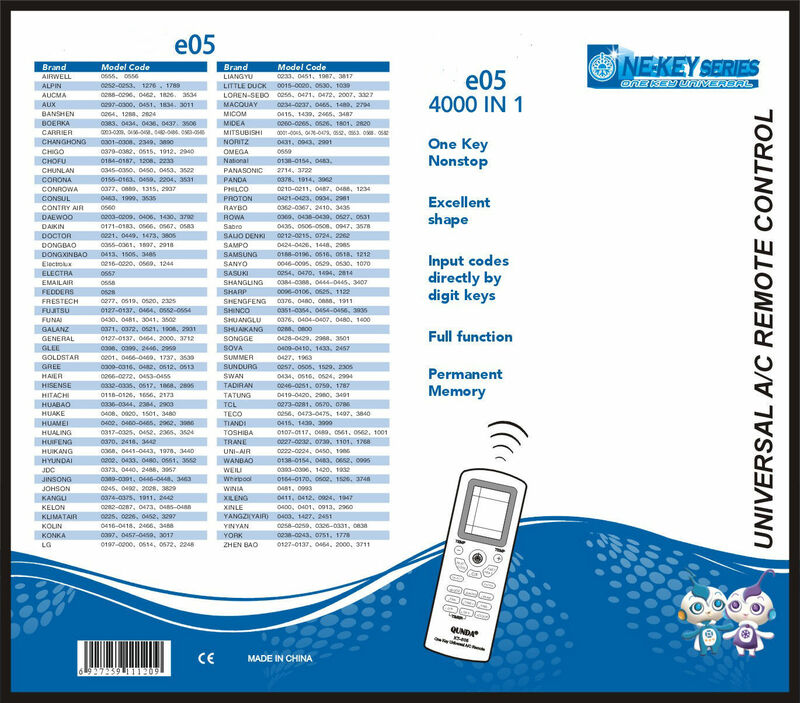 4000 BRAND CODES IN MEMORY! 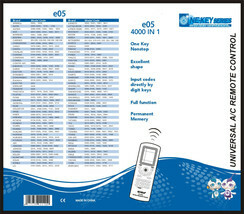 MULTI-FUNCTION FEATURES Direct Code Input Through Keys...NO SCROLLING OR PROGRAMMING REQUIRED! Patented Intelligent Cool and Heat Functions LARGE LCD DISPLAY FAN OPTIONS INCLUDE AUTO - MANUAL - NORMAL AUTO DIGITAL SEARCH MODE Fahrenheit and Celsius Button REPLACES 4000 WORLD FAMOUS BRAND CODES OF POPULAR AIR CONDITIONERS 2 AAA Batteries Included! Note: Does not work with Carrier AirV systems.